There are some PUPs known as browser hijackers that once get installed onto your personal computer can introduce changes to your Firefox, Microsoft Edge, Internet Explorer and Chrome browser, rewrite your homepage with an unknown one, set a search engine that may reroute your searches to sites with annoying advertisements and pop ups. You are probably reading this blog post because your system is affected with Search-private.com browser hijacker and you are looking for solution to remove it. Except that the Search-private.com introduces various changes to browser’s start page and newtab, it also replaces your search provider, which leads to the fact that use of the web browser’s search becomes uncomfortable. The reason for this is that the search results will consist of a lot of ads and only the remaining part is search results for your query from well-known search engines like Google or Bing. We strongly suggest you to complete the guidance which follow below. We will show you how to delete browser hijacker and thus remove Search-private.com redirect from your Mozilla Firefox, Microsoft Edge, Google Chrome and Microsoft Internet Explorer forever. In the step by step guidance below, we will try to cover the Mozilla Firefox, Chrome, Internet Explorer and Edge and provide general advice to remove Search-private.com start page. You may find some minor differences in your Microsoft Windows install. No matter, you should be okay if you follow the steps outlined below: delete all suspicious and unknown applications, reset web-browsers settings, fix internet browsers shortcuts, use free malware removal tools. Some of the steps below will require you to close this web site. So, please read the steps carefully, after that bookmark or print it for later reference. Do not know how your internet browser has been hijacked by Search-private.com hijacker? Steps to remove Search-private.com hijacker without any programs are presented below. Be sure to carry out the step-by-step tutorial completely to fully delete this intrusive Search-private.com startpage. We suggest that you begin the machine cleaning process by checking the list of installed applications and uninstall all unknown or suspicious programs. This is a very important step, as mentioned above, very often the malicious programs such as adware and hijacker infections may be bundled with free software. Uninstall the unwanted programs can delete the undesired ads or browser redirect. It will display a list of all programs installed on your computer. Scroll through the all list, and remove any dubious and unknown applications. If the Firefox browser program is hijacked, then resetting its settings can help. The Reset feature is available on all modern version of Firefox. A reset can fix many issues by restoring FF settings like startpage, search engine and new tab to its default state. It’ll save your personal information such as saved passwords, bookmarks, and open tabs. Start the FF and press the menu button (it looks like three stacked lines) at the top right of the internet browser screen. Next, click the question-mark icon at the bottom of the drop-down menu. It will show the slide-out menu. Click the “Refresh Firefox” button at the top right of the Troubleshooting Information page. Select “Refresh Firefox” in the confirmation prompt. The Firefox will start a process to fix your problems that caused by the browser hijacker that made to redirect your browser to the Search-private.com page. After, it’s done, press the “Finish” button. First, launch the Internet Explorer, then press ‘gear’ icon . It will show the Tools drop-down menu on the right part of the internet browser, then press the “Internet Options” as shown on the image below. In the “Internet Options” screen, select the “Advanced” tab, then click the “Reset” button. The Internet Explorer will show the “Reset Internet Explorer settings” prompt. Further, press the “Delete personal settings” check box to select it. Next, click the “Reset” button as displayed in the following example. When the process is finished, click “Close” button. Close the IE and restart your machine for the changes to take effect. This step will help you to restore your internet browser’s home page, search provider and newtab to default state. Run the Reset browser utility of the Google Chrome to reset all its settings such as search engine by default, startpage and new tab to original defaults. This is a very useful tool to use, in the case of browser hijacks such as Search-private.com. Once this process is finished, your web-browser’s newtab page, default search engine and homepage will be restored to their original defaults. If you’re unsure how to remove Search-private.com browser hijacker infection easily, consider using automatic hijacker infection removal apps that listed below. It will identify the browser hijacker responsible for redirections to Search-private.com and remove it from your PC system for free. 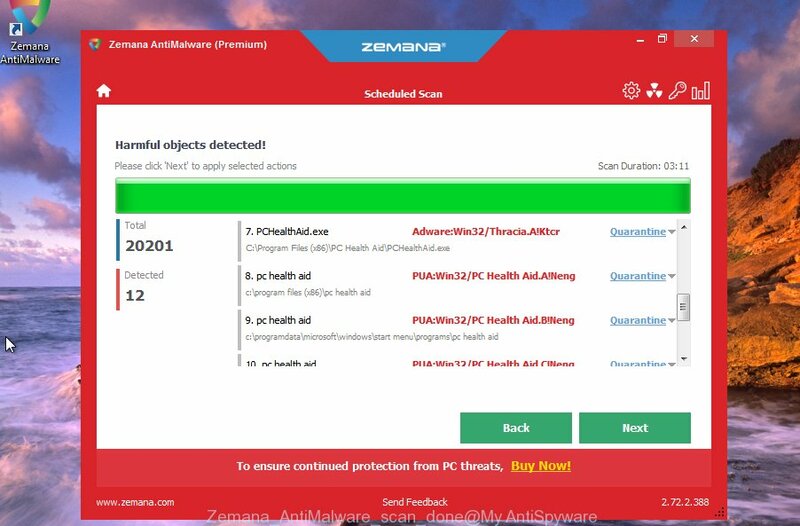 Zemana is a utility that can remove adware, PUPs, hijacker infections and other malware from your computer easily and for free. Zemana Anti-Malware is compatible with most antivirus software. It works under Windows (10 – XP, 32 and 64 bit) and uses minimum of PC system resources. Click the following link to download Zemana installer called Zemana.AntiMalware.Setup on your PC. Save it to your Desktop so that you can access the file easily. Launch the installer after it has been downloaded successfully and then follow the prompts to setup this tool on your computer. When setup is finished, this malicious software removal utility will automatically launch and update itself. You will see its main window as shown on the screen below. Now press the “Scan” button to find out browser hijacker which redirects your internet browser to undesired Search-private.com web page. This task can take some time, so please be patient. When a malicious software, ad-supported software or potentially unwanted apps are detected, the count of the security threats will change accordingly. 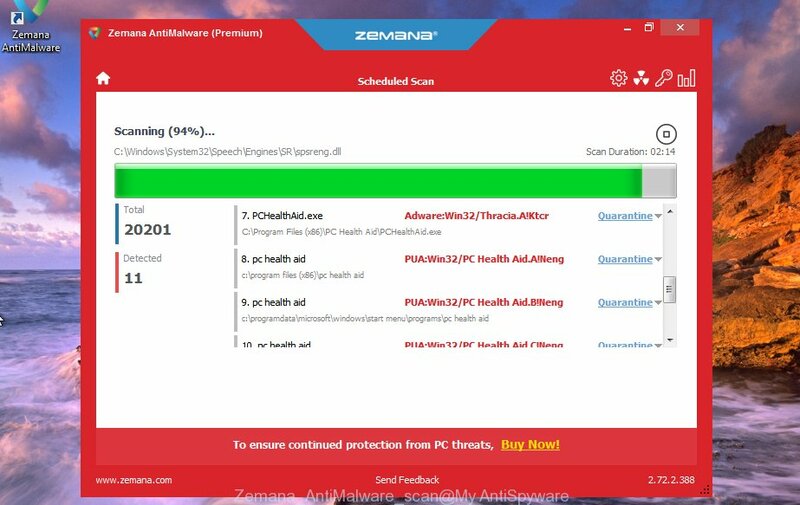 Once the system scan is complete, Zemana AntiMalware (ZAM) will show a list of all threats found by the scan. Review the results once the utility has finished the system scan. If you think an entry should not be quarantined, then uncheck it. Otherwise, simply click “Next” button. The Zemana Free will start to delete hijacker responsible for redirecting your browser to Search-private.com site. After finished, you can be prompted to restart your computer to make the change take effect. Hitman Pro is a free utility that can identify browser hijacker that redirects your web-browser to unwanted Search-private.com web page. It is not always easy to locate all the undesired apps that your PC might have picked up on the Internet. 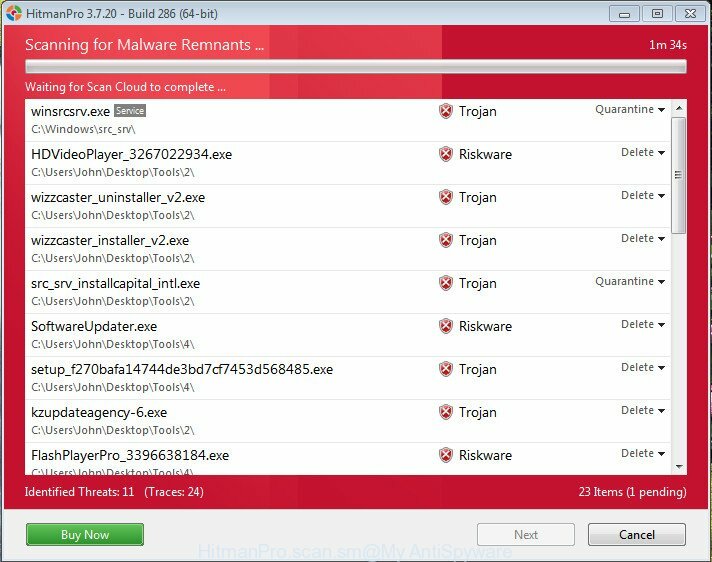 HitmanPro will search for the adware, hijackers and other malware you need to delete. Click the link below to download the latest version of Hitman Pro for Microsoft Windows. Save it on your Windows desktop or in any other place. Download and use Hitman Pro on your computer. Once started, click “Next” button to perform a system scan for the hijacker which designed to redirect your web-browser to the Search-private.com web site. This procedure can take quite a while, so please be patient. While the HitmanPro program is scanning, you can see count of objects it has identified as threat..
As the scanning ends, you will be opened the list of all detected threats on your PC. It will open a prompt, click the “Activate free license” button to begin the free 30 days trial to remove all malware found. We recommend using the Malwarebytes Free that are completely clean your PC system of the hijacker infection. 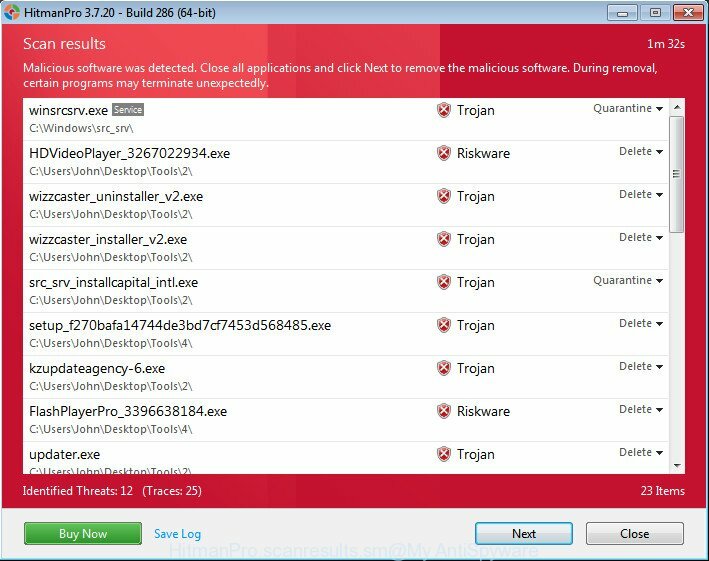 The free tool is an advanced malware removal program designed by (c) Malwarebytes lab. This application uses the world’s most popular antimalware technology. It is able to help you get rid of hijackers, potentially unwanted software, malicious software, adware, toolbars, ransomware and other security threats from your computer for free. Visit the page linked below to download the latest version of MalwareBytes Free for Microsoft Windows. Save it on your Microsoft Windows desktop. After downloading is finished, run it and follow the prompts. Once installed, the MalwareBytes Free will try to update itself and when this procedure is complete, press the “Scan Now” button to perform a system scan with this utility for the hijacker responsible for redirecting user searches to Search-private.com. A system scan may take anywhere from 5 to 30 minutes, depending on your computer. While the MalwareBytes AntiMalware tool is scanning, you can see how many objects it has identified as being affected by malware. In order to get rid of all threats, simply click “Quarantine Selected” button. 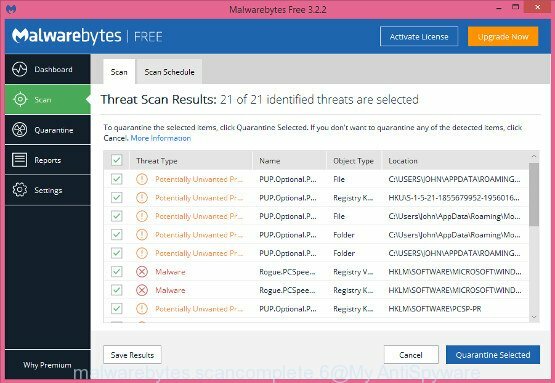 The MalwareBytes Anti-Malware is a free program that you can use to remove all detected folders, files, services, registry entries and so on. To learn more about this malware removal tool, we recommend you to read and follow the step by step instructions or the video guide below. If you browse the Internet, you can’t avoid malicious advertising. But you can protect your browser against it. Download and run an adblocker program. AdGuard is an ad blocking which can filter out a lot of of the malvertising, blocking dynamic scripts from loading harmful content. Please go to the following link to download the latest version of AdGuard for MS Windows. Save it on your Windows desktop or in any other place. Follow the prompts. 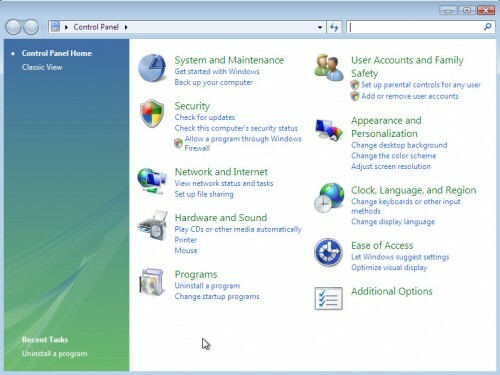 When the install is complete, you will see a window as displayed in the following example. In most cases, the default settings are enough and you don’t need to change anything. Each time, when you start your system, AdGuard will launch automatically and block pop up ads, Search-private.com redirect, as well as other malicious or misleading web-sites. For an overview of all the features of the application, or to change its settings you can simply double-click on the AdGuard icon, that may be found on your desktop. Many browser hijackers such as Search-private.com come from internet browser toolbars, internet browser extensions, BHOs (browser helper objects) and optional applications. Most commonly, these items claim itself as software that improve your experience on the Net by providing a fast and interactive start page or a search engine that does not track you. Remember, how to avoid the unwanted apps. Be cautious, launch only reputable applications which download from reputable sources. NEVER install an unknown and suspicious program. Now your computer should be free of the hijacker that made to reroute your browser to the Search-private.com web page. We suggest that you keep AdGuard (to help you stop unwanted advertisements and annoying malicious web-pages) and Zemana AntiMalware (ZAM) (to periodically scan your PC for new malware, browser hijackers and ad-supported software). Make sure that you have all the Critical Updates recommended for Windows operating system. Without regular updates you WILL NOT be protected when new hijackers, harmful applications and adware are released. If you are still having problems while trying to delete Search-private.com from your web-browser, then ask for help in our Spyware/Malware removal forum.